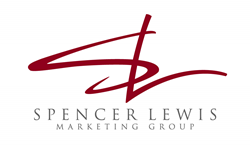 The Spencer Lewis Marketing Group, a full service Ad Agency, based in Rancho Cucamonga, California, recently announced the launch of their Google My Business Optimization (GMB) service. We really see and believe in the value of this service for our clients, so we expanded our staff to enable us to provide a real expertise with this service. The service is an add-on to the company’s Local SEO service and designed for physical brick and mortar locations that may need the GMB Optimization in order to increase their local visibility. “We really see and believe in the value of this service for our clients, so we expanded our staff to enable us to provide a real expertise with this service.” says Spencer Lewis President and founder Shawn Glaspell. The GMB Optimization service includes claiming the local business (if needed), geotagging and uploading images regularly and weekly posting to the GMB account listing. The service also provides support and training for staff of clients to fully leverage the results. “Our clients have enough on their plate worrying about Local SEO (Organic), PPC and other marketing initiatives without having to work on their GMB profile also.” added Glaspell. The service also includes adding products or services to the clients’ GMB listing, creation and publishing of the Google website associated with the profile and adding all pertinent content to the clients’ GMB listing. “We’ve already had a great response...” says Glaspell, “...in terms of getting results for our clients and also interest in the product.” The agency has seen upticks in visits to websites, views of uploaded photos, phone calls and online requests for directions for their clients. “Google My Business is crucial for local businesses.” Spencer Lewis Account Manager Martin Walker explains. “It’s just another important piece of the puzzle when it comes to online visibility, ranking and physical traffic to a brick and mortar location. Google My Business used to be called “Google Places”, and before that “Google Maps” and currently show only 3 businesses in online search results in Google. Getting a business listed in the top 3, AKA the “3 Pack” can increase traffic and revenue for any small business.